When it comes to horror genres and scary story-lines, the anime world is a bit lacking. 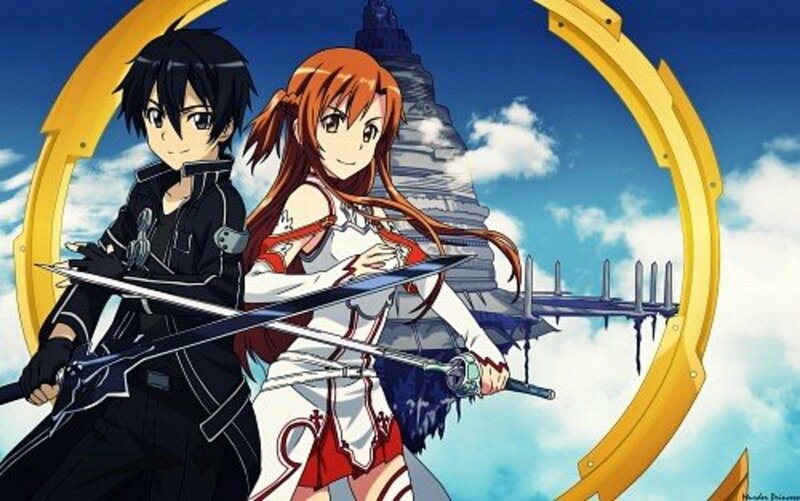 As a matter of fact, there are only a few handful of anime titles that can be listed under the genre. And one of the shows that made it into the small bunch of popular scary anime is Another. I can say for myself that the anime, Another, is one of the best horror anime out there ever since the start anime. The eeriness, the suspense, the ghastly and dark setting . . . Another totally hits every criteria for good horror. It's just a shame though that there are only a few scary anime that are that god. Luckily, some does exists. And so, I'm gonna muster-up some courage and bravery (to battle the goosebumps) and list them here right now. 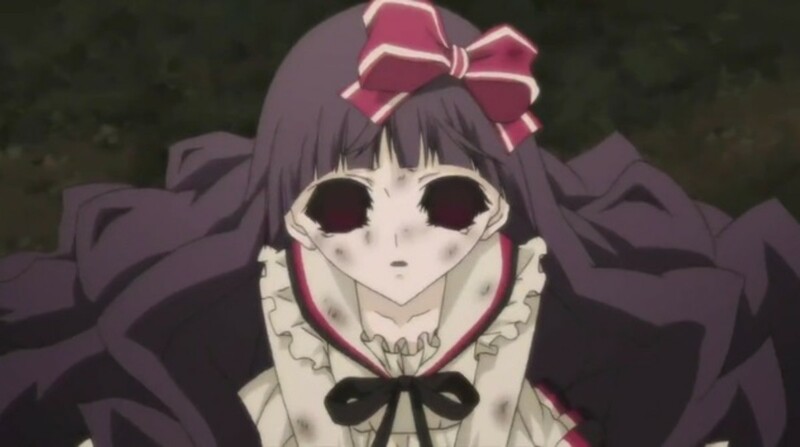 I suggest that you prepare yourself for fright and fear as the world of horror anime is not for the weak of heart. Serious ghostly trauma awaits within this list. When Kouichi Sakakibara transfers into a new school, he immediately notices that something is off with everything. In his classroom, there's a girl who seems to be absent to everyone else. But, when he decides to approach that girl, everything goes haywire. The girl's absence amidst her presence represents a deadly secret, a secret that shall soon send the whole class towards certain death. In a world filled with injustice and cruelty, there exists an eerie school known as the Heavenly Host Elementary School. No one knows where it is or if it even really exists. But, those unlucky fellows who gets sucked into its dark dominion never (ever) return in one piece! 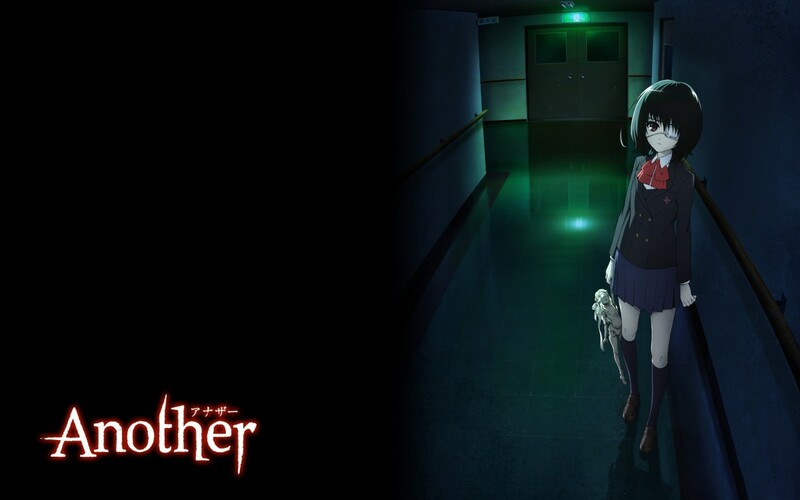 Corpse Party narrates the bloody and ghostly tragedy at Heavenly Host Elementary School, the place where a certain band of students unfortunately ends up after performing the mysterious "Sachiko Ever After" charm. What brutal fate awaits them there? Is there really no escape? What on earth (or should I say hell) is really happening at that eerie school? 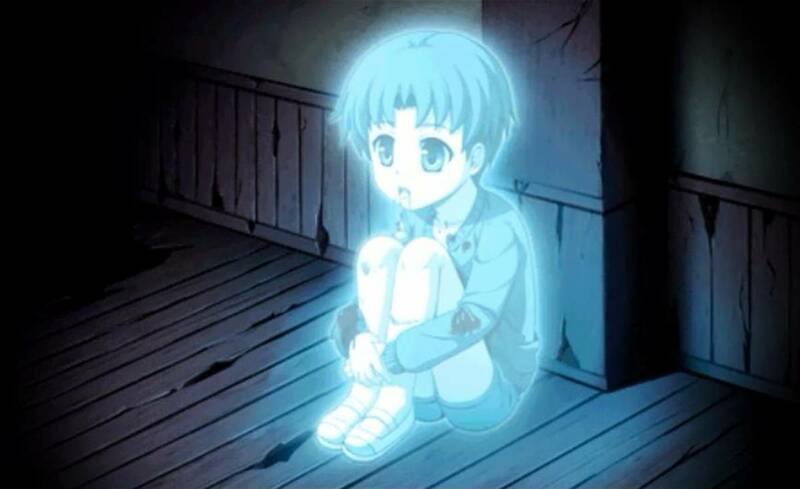 Watch it or dare to perform the cursed "Sachiko Ever After" charm yourself to see and find out what's happening there at the unholy grounds of Heavenly Host Elementary School. You won't probably make it out alive though. As one of the scariest anime out there, Corpse Party shall burn a true vision of horror right into your mind, which will keep you disturbed through the night and into your slumber. With all the gruesome events happening, I guess even you the watcher won't ever leave the premise of the story unscathed! In a certain town of a certain time, people suddenly and mysteriously perish one-by-one because of an unknown disease. After one dies after another, a suspicious doctor comes to identify the real root cause of the epidemic. As the number of deaths rises at an alarming rate and dead people start to spring up from the grave in a trance of blood-thirst, the doctor and the people discovers that a despicably evil entity is behind all the occult phenomena. If you think it can't get any more scary than that, then think again! Shiki provides you a lot of sweat to break and lots of chills to go down your spine. It gets more violent as the story progresses. All until you surrender to the dark truth of things. Beware! Be very careful on your horror adventure with the anime Shiki! What really sets it apart from the others is it's eerie atmosphere. Even though the story probably won't make you jump off your seat in its full immersion, it will definitely give you the vibe of creepiness going over-and-over your mind for the nights to come. That is the best part of Shiki. Its touch will surely leave you with goosebumps. In yet another spooky town hidden deep within the mountains, a chain of uncanny murders starts to break out. And while the murders aren't perpetrated by dark underworld beings this time, the perpetrators here are equally as atrocious as demons (but much creepier because of their innocent facade). 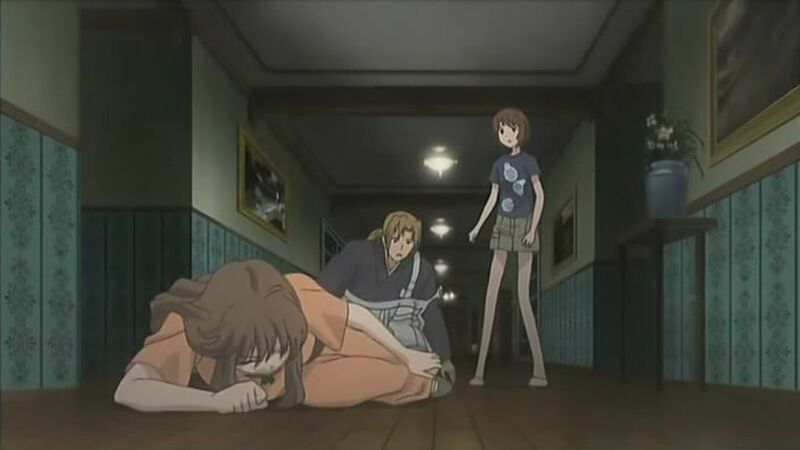 So, as a spectator in this gruesome and messed-up horror story - can you get to the bottom of things and unveil the mystery that surrounds this anime, Higurashi no Naku Koro ni? 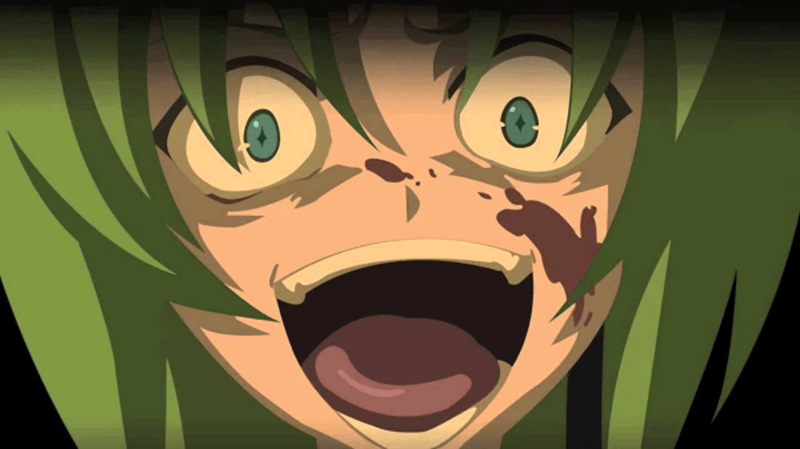 Higurashi no Naku Koro ni, also known as When they Cry, has an atmosphere filled with creeps and blood-curdling air. Though the story contains several arcs situated through different timelines and dimensions, it will definitely guide you across the mystery only to get you trembling with fear in the end. So, if you want something to boggle your mind while trying to paralyze you with creeps and fear - Higurashi no Naku Koro ni shall be there waiting for you. Just don't let the psycho-beings get into you! When a confined top-secret creature known as diclonius escapes a highly-classified experiment facility, all hell breaks loose in the world. Especially when the aforesaid diclonius bears unparalleled hate and loathing towards humanity. It will stop at nothing just to exact its vengeful spite upon the whole human race. But then, destiny brings the diclonius on a fateful encounter with her childhood friend, the boy who was the only friend she ever had in her miserable life. Elfen Lied is an anime that is capable of fully traumatizing anyone with its gore and sad plot. The violence and gore already makes up for the horror and its way of terrorizing you. But then, the heart-breaking story also does its work by leaving you depressed throughout its course. Combine these elements and you get an anime that scars you in terror and leaves you in despair. This anime, Elfen Lied, brings out the terror of hell unleashed upon your trembling soul. Watch it with caution if you wish to survive till the end. Ghost stories, anyone? Let's see what your nightmares are truly made of! With macabre ghosts, eerie situations, haunted places, unexplained phenomena, and everything related to the occult - the horror stories collected in this bizarre anime truly stand up to their notoriety. 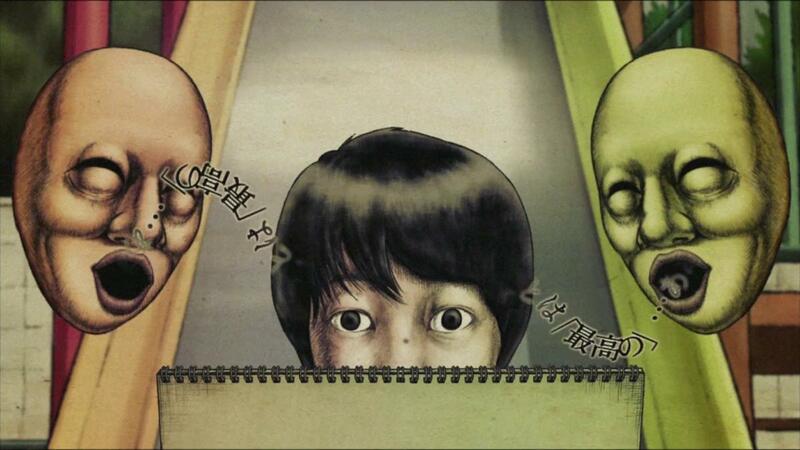 This is the horror-story-telling paper theater you shall soon know as Yami Shibai. Yami Shibai narrates tales of olden folklore and occult scenarios in Japan with scenes made out of creepy paperwork art. And although this anime doesn't showcase the usual anime art in terms of graphics, the paper artwork makes up for it in sheer effort to produce a dark and unnerving atmosphere. Think of it as a series of mundane horror stories brought to life in a full theatrical paper presentation. Leaving all the graphic and the whole technical detail aside, this is one of the very few anime you could actually consider to be true to the horror genre. Yami Shibai is such a rarity that it is a gem in the bunch. Now join the horrific storytelling of the anime and prepare for countless sleepless nights! Deep beneath the shadows of Tokyo, Japan, creatures known as ghouls exist and devour humans at any opportunity they get. Though known by some people through rumors and myths, nothing can be done about these ghouls as their identities are masked in the darkness of secrecy. Who knows what they really are or where they came from? But, when a boy named Kaneki Ken crosses path with a ghoul and lives to tell the tale, the mysteries starts to unveil one-by-one following the bizarre changes happening within his own body after the encounter. Tokyo Ghoul is the newest anime title on this bunch. It caters ghouls and human-eating monsters rendering anyone to the depths of fear. And while there's the staple blood and gore in the plot, the twist is what makes this anime a competitor of horror. Also, this isn't all just about horror. It also has some action in it. So, next time you roam around outside at night, be sure to keep an open eye out for ghouls and dark creatures. Tokyo Ghoul shall etch uneasiness in your mind soon. 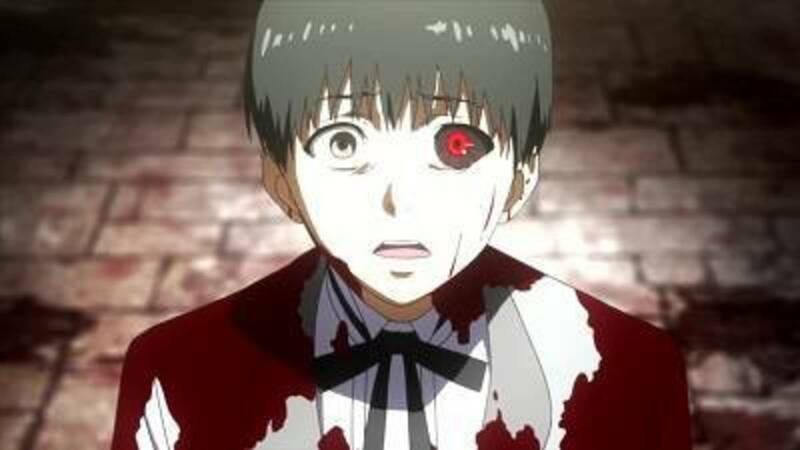 By the horrific story and turning-point action Tokyo Ghoul has shown, it captivated many people to turn into ghouls (fans) of the show. And so, this list of Anime like Tokyo Ghoul was made for you. Do you fancy telling ghost stories with family and friends? Have you ever gone ghost hunting before? Do you like the feeling of chills coming down your spine? If your answer is yes to one or more of the questions said, then you're on for a thrilling escapade as you watch this anime known as Ghost Hunt. In the school where Tamamiya Mai (a regular high school girl) goes, there's an abandoned school building that seems to emit a dark, creepy aura. When Mai bumps into Shibuya Kazuya (the president if the Shibuya Psychic Compant who is tasked to do a research on the building), she suddenly finds herself an assistant after accidentally breaking his camera. Now, Mai begins to learn more about the paranormal as she ventures into the dark domains of paranormal ghost hunting. Ghost Hunt is one of most peoples' favorite classics when it comes to its hair-raising antics. While this anime has its drawbacks and low points, it won't disappoint you when it comes to the classic way of terrorizing and scaring spectators. Which Anime from the list did you find the scariest? All i can say is that CP and Another are one of the best horror anime ever made. Haven't got around to it yet, I watched the Missing Footage one but not Tortured Souls. I'll have to check it out. I can't really say they were scary as I am an advent horror watcher. However, I have to admit that Corpse Party is the most f-d up of the list. 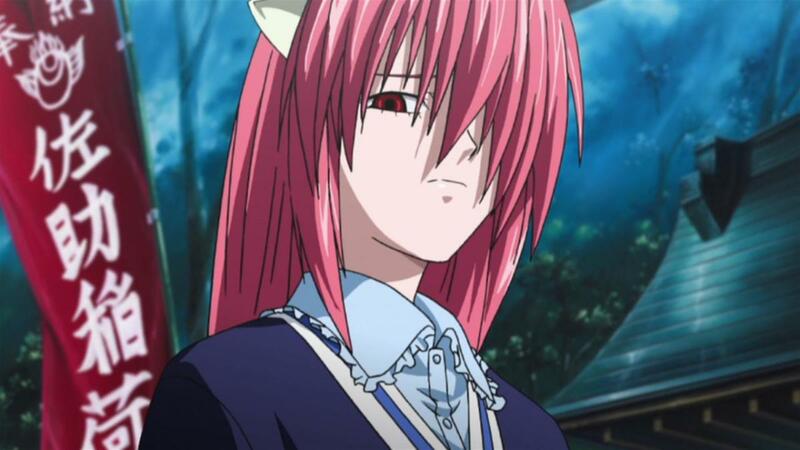 Elfen Lied, I believe, is not so much horror as it is an action drama. Yakumo would probably make a better fitting in this list. Great list mate. 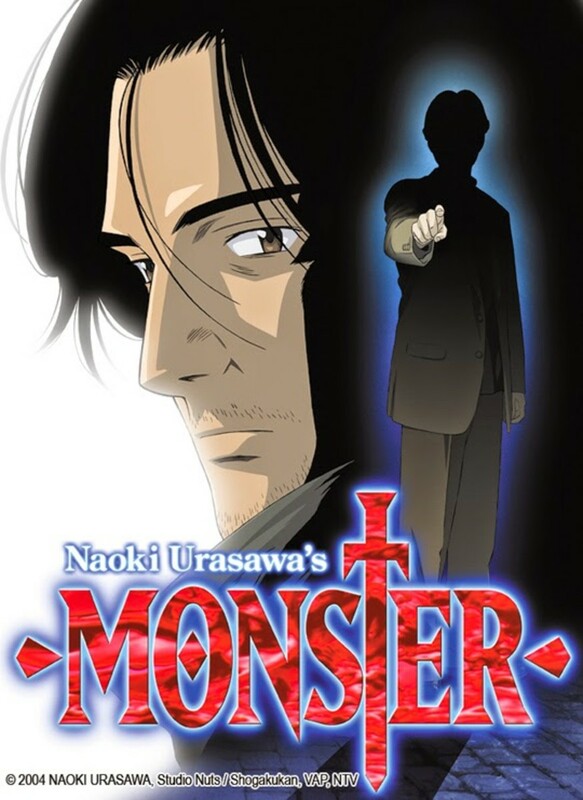 I always struggle to find good horror anime, and to this day I don't think I've actually found one as good as Another was. 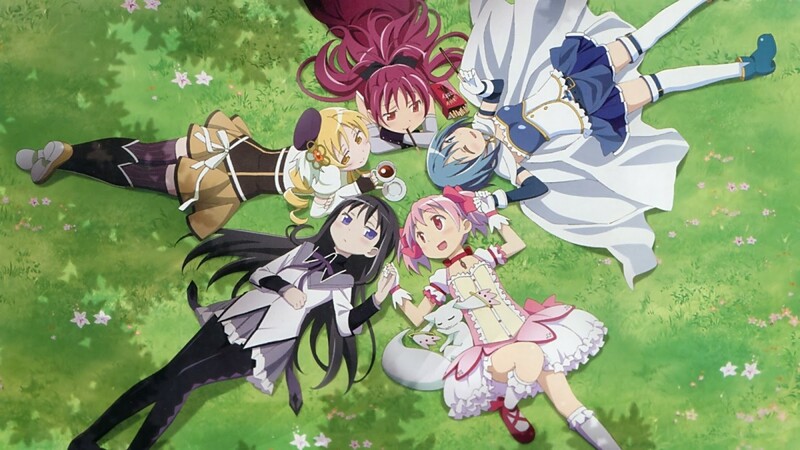 It's such a shame there aren't that many anime of this genre, considering the endless possibilities of anime. Out of the list I would say that Shiki is the scariest in this list, definatley reccommending that to anyone. I do have another suggestion if you're interested; 'Le Portrait De Petit Cossette'. I found this not long after watching Another and although it's only three episodes long, it really is a fantastic series. Honestly it feels more like a European ghost story than a Japanese one, but the animation is beautiful and the tension just keeps building with each scene.